Freedom fighter Shamsiah Fakeh (1924-2008). 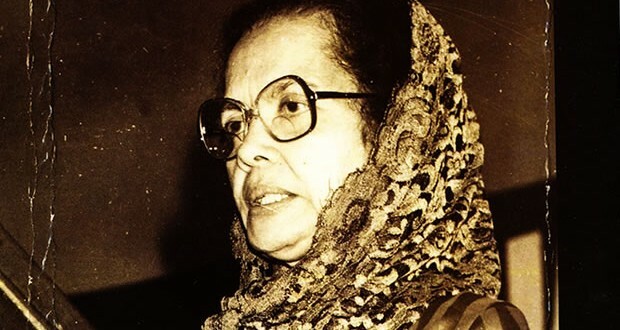 Born in Kuala Pilah, Negeri Sembilan in 1924, Shamsiah received her early education at the Madrasah Aliah Islaiah in Negeri Sembilan and Madrasah Tuddimiah in Padang, Sumatera, experiences that sparked her early political consciousness. As a young woman she stood out as a powerful orator and was sought after by different political parties including UMNO. She chose the path of the Malay Nationalist Party (Parti Kebangsaan Melayu Malaya) as she believed in their fight towards independence from the British. Shamsiah became an important leader of PKMM’s women’s wing and the first women’s movement in Malaya, AWAS (Angkatan Wanita Sedar). When the British banned PKMM, followed by a mass arrest of left-leaning leaders in 1948, Shamsiah moved her fight towards independence in the jungles by joining the Communist Party of Malaya under the 10th Regiment of the Malayan People’s Liberation Army in their armed resistance. She was a leader in the Communist Party and was a jungle guerrilla for eight years. In 1956, Shamsiah and her husband, Ibrahim Mohamad, were sent to China for further education. They served as broadcasters with the Radio Peking’s Malay language service. In 1965 they were imprisoned for two years in Indonesia during anti-communist crackdowns. They returned to China and lived there until 1994 when they were finally allowed to come home to Malaysia. In the foreword of her memoir, Shamsiah writes: “I was merely a woman fighting the British for my country’s independence and the emancipation of women.” She died in 2008 in Kuala Lumpur. Puan Sri Puteh Mariah (1914-2006). Born in 1914 in Teluk Intan, Perak, Puteh Mariah started her public service in the 1940s going into the streets and helping families who suffered the ravages of war. Her experience in outreach work, bringing food, clothing and medical supplies for those in need, changed her outlook in life; she decided “could not afford to be an outsider anymore” but instead “became an activist”*. A pioneer in many different ways, she was the first head of Kaum Ibu (the precursor to Wanita UMNO), which she co-founded in 1949. She left UMNO to help form Parti Negara with Dato’ Onn Jaafar and became the first woman to hold the highest post in a political party as the Secretary General of Parti Negara in 1956. 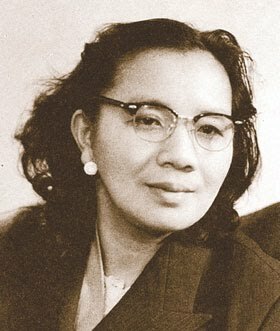 Puteh Mariah was also one of the first women nominated to the Federal Legislative Council, serving from 1948-1955. In the Legislative Council, she fought for education opportunities for Malayans, better wages for local teachers and wage equality for women. She was, in particular, a strong champion for the education rights for women. In 1950, she was appointed as a Justice of the Peace, the first woman to be conferred this honour in the Federation. Post-independence, she continued to be active in social work, serving many different committees, including the Central Welfare Council, the Children’s Welfare Council, and she was also the first local President of the Girl Guides Association of Malaya. * New Straits Times, 3 August, 1987. Puan Sri Janaki Athi Nahappan, also known as Janaki Devar (February 1925- May 2014). 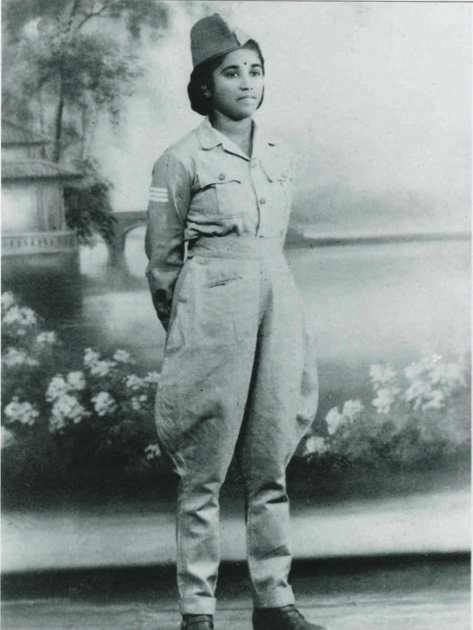 At a young age of 17, inspired by Indian nationalist Subhas Chandra Bose’s appeal to the Indian diaspora to fight for India’s independence, Janaki joined the Rhani of Jhani regiment, the women’s wing of the Indian National Army based in Southeast Asia. Janaki excelled in her military career rising to the rank of Captain and Second in Command in the regiment. She fought against the British along the Burma India border. 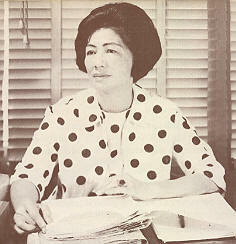 After the war, she focused her efforts on welfare services in Malaya. She was part of the Indian National Congress Medical Mission in Malaya where she travelled throughout the country and learned about the challenges facing the Indian community in Malaya. Inspired by this experience, in 1946, Janaki co-founded the Malayan Indian Congress (MIC) with John Thivy as president. She was an active MIC member and later was appointed Senator in the Malaysian Parliament. In 2000, she was awarded the Padma Shri award—one of India’s highest title— in recognition of her social welfare work and her service to the Indian National Army. *To learn more about freedom fighter Janaki Athi Nahappan and the Rani of Jhansi regiment, read Women Against the Raj: The Rani of Jhansi Regiment (2008) by Joyce Lebra: bit.ly/TV4ZmG. **Photo from: A Gentleman’s Word: The Legacy of Subhas Chandra Bose in Southeast Asia (2012).